Missouri has an incredible collection of educational activities for children, featuring hands-on activities, interactive exhibits, and on-the-spot learning. Whether you’re planning a school field trip, or just taking the kids out on an excursion, these educational activities will not fail to please. The St. Louis Science Center specializes in “making science fun!” With over 700 interactive exhibits, a planetarium, and an Omnimax Theater, children and their parents can investigate and explore scientific theories while having fun at the same time. General admission is free, so the center is frequently crowded. Make sure to call ahead and find out when they expect their largest crowds. Union Station is truly a Kansas City landmark. Built in 1914, this majestic old building sat empty and neglected for several years, until a major renovation restored it to its original beauty. Now the station hosts traveling education exhibits produced by, among others, the Smithsonian and National Geographic, as well as a planetarium, an interactive science center, and frequent theatrical events. Children will particularly like the KC Rail Experience, a hands-on journey through the history of American railroads. The Discovery Center, an innovative and interactive educational resource center, has been a beloved field trip destination for thousands of Missouri school children since the mid-1990s. 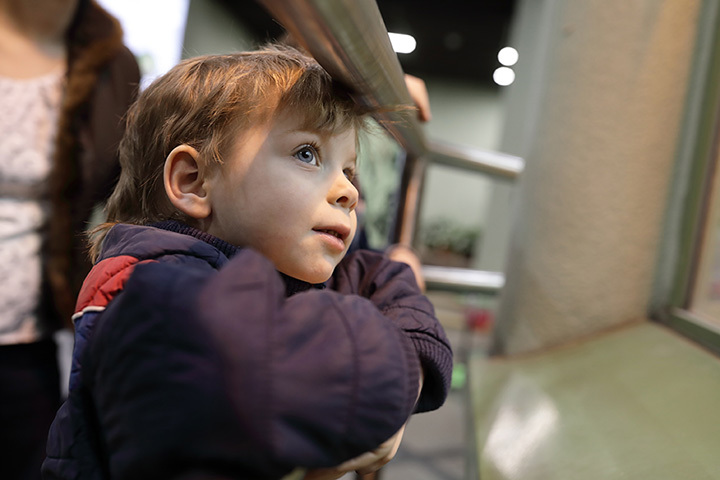 Exhibits and programs focus on a broad array of sciences and technologies, as well as the arts, communication, culture, math, health, and the environment. The Discovery Center is the only activity center in southwest Missouri to offer such a wide range of hands-on activities and special events. The Mastodon State Historical Site Museum contains exhibits displaying artifacts taken from the Kimmswick Bone Bed, a major archaeological site in which the bones of approximately 60 mastodons have been found. Visitors can tour the dig site, see reconstructed mastodon skeletons, view a movie on the natural and cultural history of the area, and explore the terrain along the Tom Stockwell Wildflower Trail. The Legoland Discovery Center rides the wave of Lego popularity with a nice educational twist. Though primarily an indoor theme park, with several family attractions and rides, children can also see Kansas City in miniature, create their own scenes and backdrops, and interact with other children through Lego storytelling. The Titanic has had a hold on the public imagination since its sinking in 1912. The Titanic Museum capitalizes on that fascination, through a number of permanent and traveling exhibits. Most impressive to children is the opportunity to touch water chilled to 28 degrees (the temperature of the ocean that night), walking up steeply sloped decks, and learning the individual stories of passengers drawn at the start of the tour. Springfield has become such a large metropolitan community that those living there often forget that the city was built on the labor of the small farming communities around them. The Rutledge-Wilson Farm Park in the rapidly growing area of south Springfield serves as a reminder for city kids what rural life is like. It includes an animal barn, a milking barn, gardening demonstrations, and a 20-acre spread of natural, native prairie, a rare site in the sprawling Missouri city. Kaleidoscope has been in Kansas City for going on three generations, and the yearly field trip to Kaleidoscope for schoolchildren is practically a rite of passage. Kaleidoscope is a place where kids can express themselves creatively and artistically, using a variety of materials and without boundaries or critique. Founded by the Hall Company, who publish Hallmark Cards, the center’s mission is to encourage the gifts of imagination children have by nature. In addition to schools, Kaleidoscope offers sessions where children and parents can create together. Voted the nation’s top attraction for child appeal, Magic House was built in 1979 to engage children in active and exciting learning. It was first begun in the Edwards Mansion, and has undergone several expansions since its founding in 1979, including the Children’s Sculpture Garden, Children’s Village, Math Path, and even a Fitness Center. Admission to Magic House is $11, but since it is an independent not-for-profit organization, all of the admission fees go to running the museum.